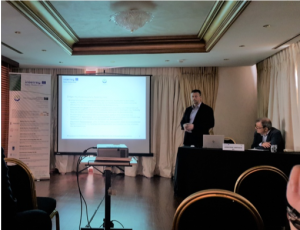 On Friday 2nd of November, 2018, a BIOPROSPECT stakeholders’ mobilization was organized by the Exhibition Research Institute (IEE), in the city of Ioannina, Greece. The purpose of the meeting was to inform and mobilize the stakeholders of the protected area of the Northern Pindos National Park in order to support and facilitate the implementation or the project as well as acknowledge and embrace the ecosystem services in their area. 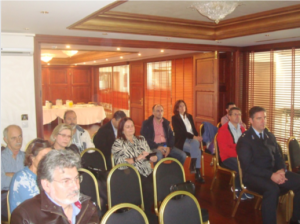 During the meeting, the project partners informed the stakeholders about the general content and the aims of BIOPROSPECT. The actions foreseen for the Northern Pindos National Park include mapping of ecosystem services and genetic diversity, the development of Road Maps that will contribute to regional development whilst projecting the value of biodiversity and ecosystem services and guidelines and Demo Actions which aim at disseminating results and actively involving locals and stakeholders. In addition, the project will develop an online platform for the overall economic evaluation of forest ecosystem services and will conduct a study to improve the accessibility and the educational value of the protected area by placing informative signs.